Do you like Minecraft? 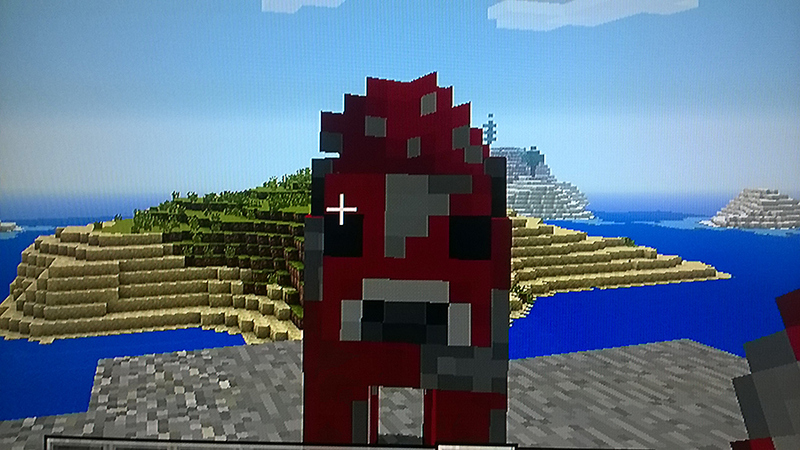 In Minecraft the word mob means mobile which refers to anything that moves. Peaceful mobs will not attack you what so ever. 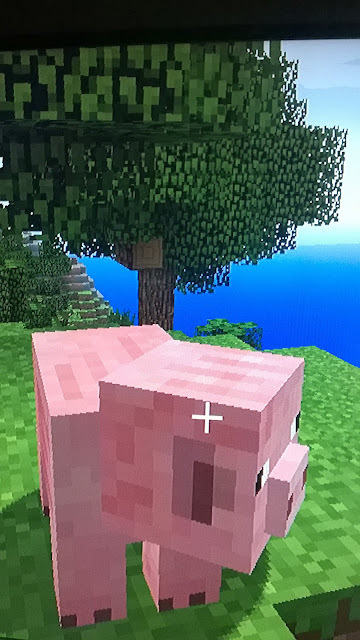 Pigs spawn in groups and then start to wander off. You can find them anywhere except the ocean and deserts. Useful drops: pork,cooked pork if killed with a flint and steel, and saddle if equipped. 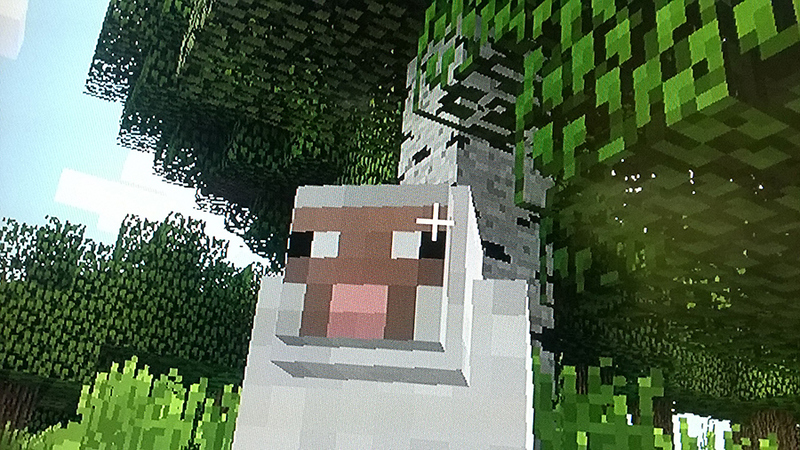 Sheep also spawn in groups and are the prey of wolves. they also can be found anywhere but the ocean and deserts. Useful drops: wool, mutton, cooked mutton if killed with a flint and steel. Cows are another pack wanderer and are not very smart as they walk of cliffs. The only places they can not be found in are deserts and the ocean. Useful drops: leather, beef, cooked steak if killed with a flint and steel, and milk if milked with a bucket. 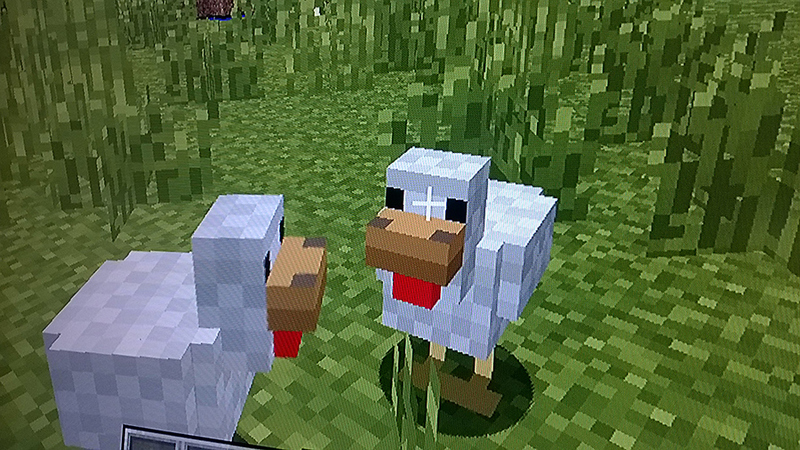 Chickens spawn in groups of one or two chickens. They can often be found in water and almost any where else. They also lay eggs every ten to fifteen minutes. 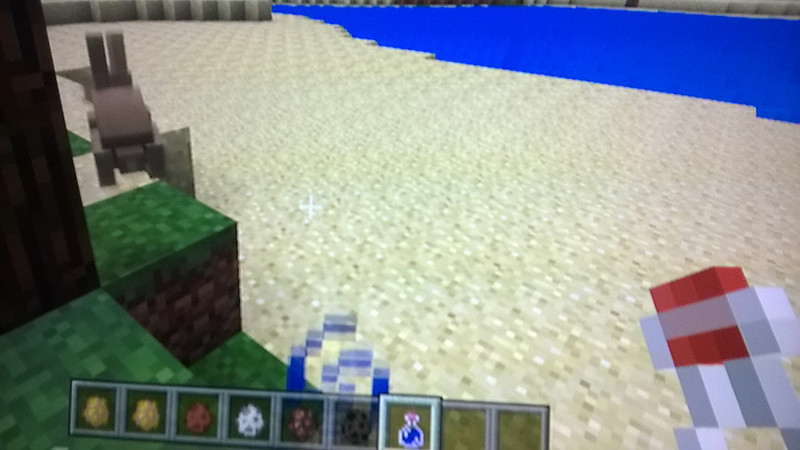 Useful drops: eggs, feathers, chicken, cooked chicken if killed with a flint and steel. Parrots are small birds that live on the jungle. They come in dark blue, light blue, white, red, and green. You can tame them and they will ride on your shoulder. you can find them on the forest floor or flying high in the treetops. Squid spawn in groups of one or two. They can be found in oceans, lakes, streams, and rivers. 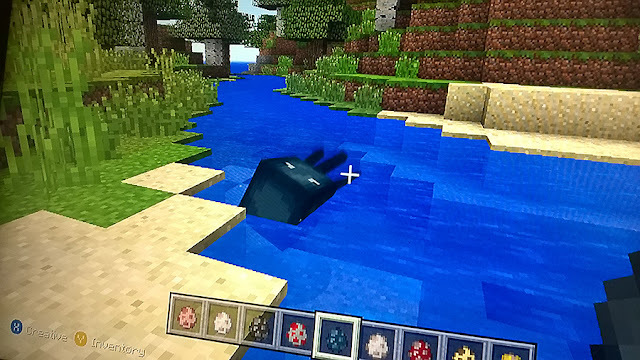 Dolphins are marine mods that live any where in the ocean. You can usually find them in pods jumping out of the water. But, be sure to keep an eye on them because if they jump onto the beach they will suffocate. Dolphins seem to love boats as they will follow and jump over them as you are paddling. Cod, salmon, puffer fish, and six types of tropical fish! Fish are everywhere in the water. You can find schools of cod in the deep ocean, salmon in the oceans, rivers, and lakes. The solitary puffer fish and and tropical fish are found in tropical rivers and shorelines. Fish are also an easy source of food. Sea turtles live in the ocean, but the large adults sometimes come to land to lay their eggs. Be sure to guard the eggs and babies, because hostile mods will attack them. you can wear their shells as helmets. Mooshrooms are a cow infested with mushrooms. They only spawn on the rare mushroom island. They will turn into cows if they are sheared. 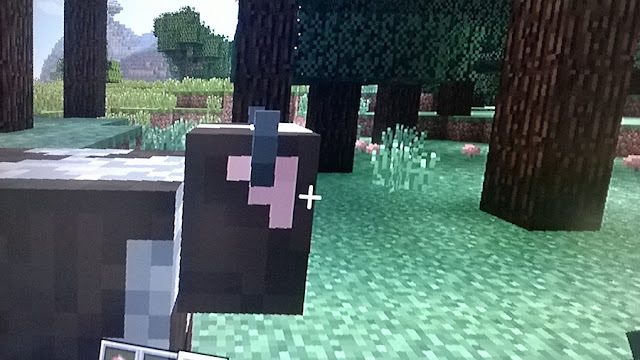 Useful drops: leather, beef, cooked steak if killed with a flint and steel, five red mushrooms, milk if milked with a bucket, mushroom stew if milked with a bowl. Ocelots spawn in groups of one. They can only be found in jungles. Horses spawn in small groups and sometimes you may spot a baby. Horses only spawn in plains. They can be tamed and saddled. 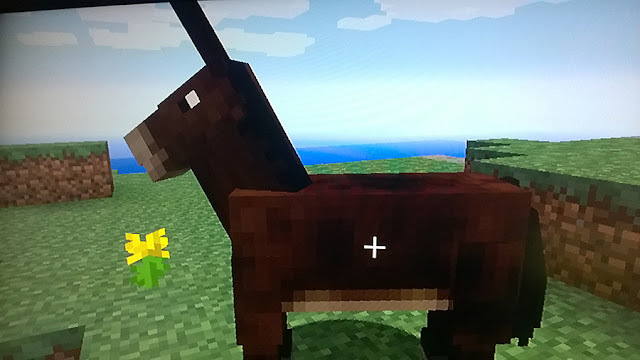 Horse armor and chests can be placed on a tamed horse. Useful drops: leather, saddle if saddled, horse armor if equipped, and chest if equipped. 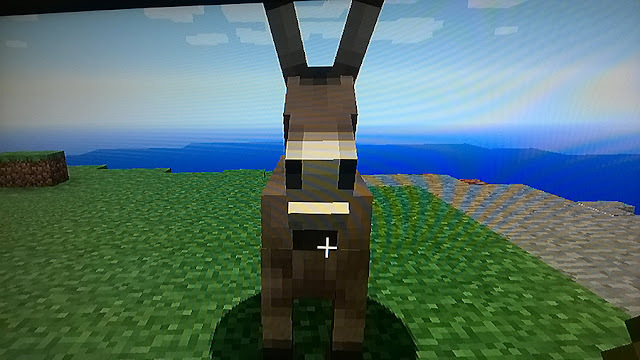 Donkeys also spawn in plains and can be ridden, and be equipped with chests. They look a lot like horses but are a different color and have pointer ears. Useful drops: chest if equipped, saddle if saddled, leather. Mules also only spawn in plains, and are a cross between a horse and a donkey. They have the body of a horse but the ears of a donkey. Llamas are large animals that live in extreme hills and savanna biomes. You can tame and ride them. To ride them you will need to place a carpet on them. If you ride one of them, all of the other llamas in it group will follow. Useful drops: leather. chests and carpet if equipped. 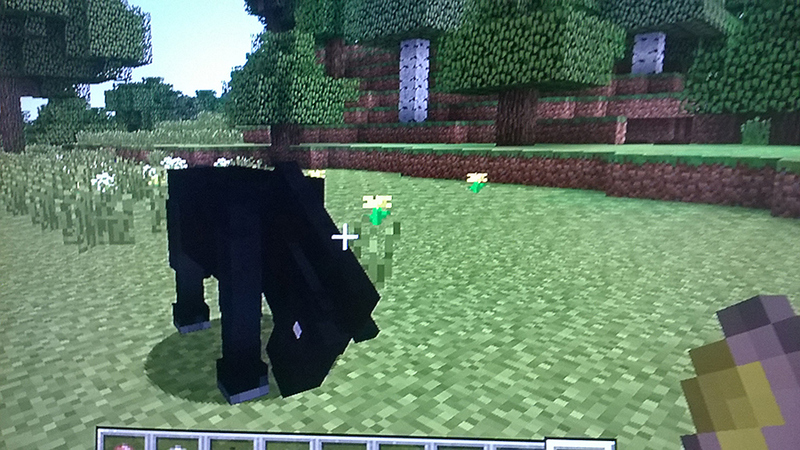 Skeleton horses spawn if a horse is struck by lightning. If the horse is struck again it will turn into four skeleton horses with skeleton riders. These horses can tamed and ridden. 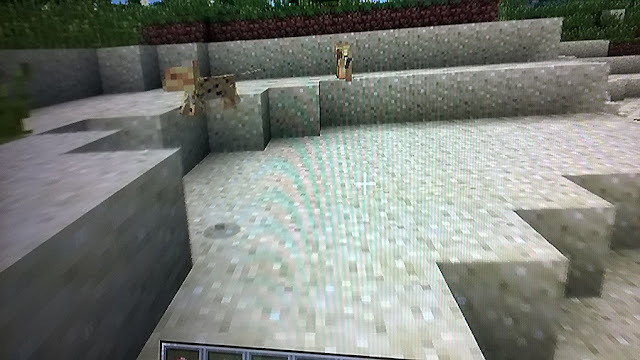 Zombie horses cannot spawn naturally. They must be spawned by a player. they cannot be ridden or tamed. 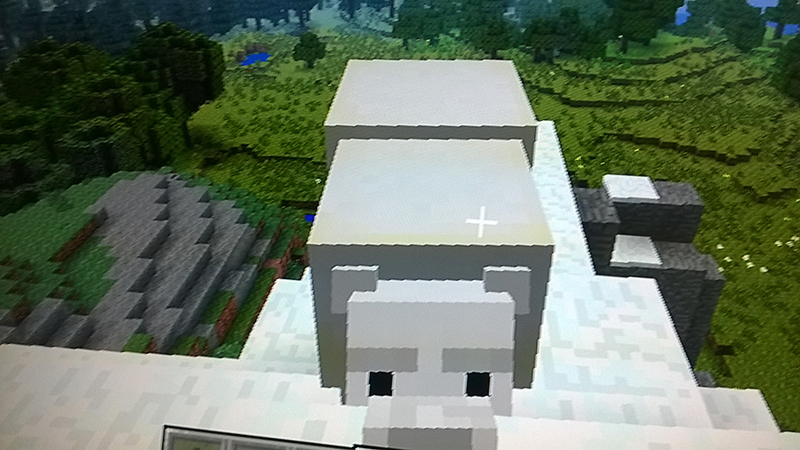 Polar Bears spawn in groups of one and attack sheep and rabbits. They only live in colder areas. Villagers live in, not surprisingly, villages, which can be found in deserts and plains. 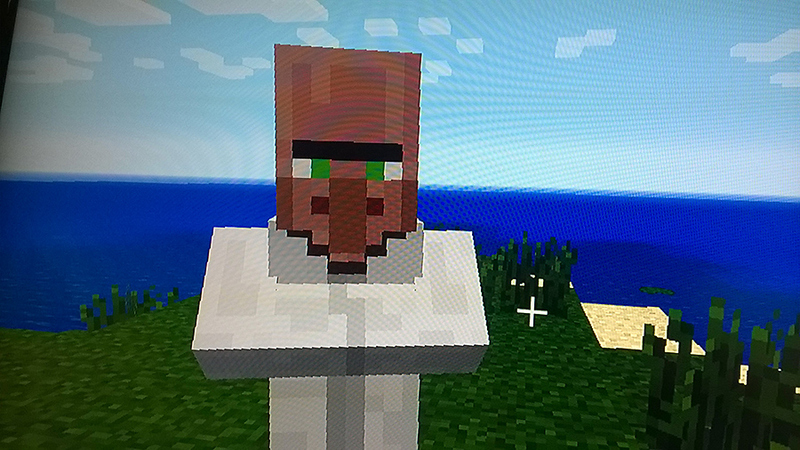 Each villager has a specific job, which I will talk more about in a future post. 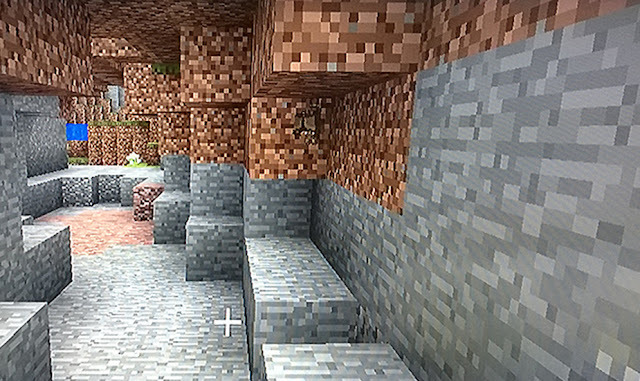 You can also trade with villagers and the trade almost always involves emeralds. Rabbits spawn in groups of about one to four rabbits. They live everywhere except the ocean and underground. Useful drops: rabbit foot, rabbit hide, rabbit, cooked rabbit if killed with a flint and steel. 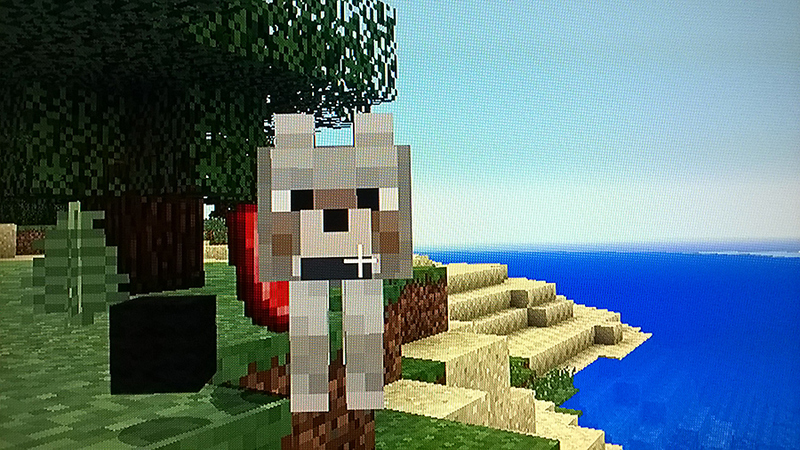 Wolves spawn in forests and prey on sheep and rabbits. A wolf will not pay any attention to you unless you attack it, then it will attack you back. 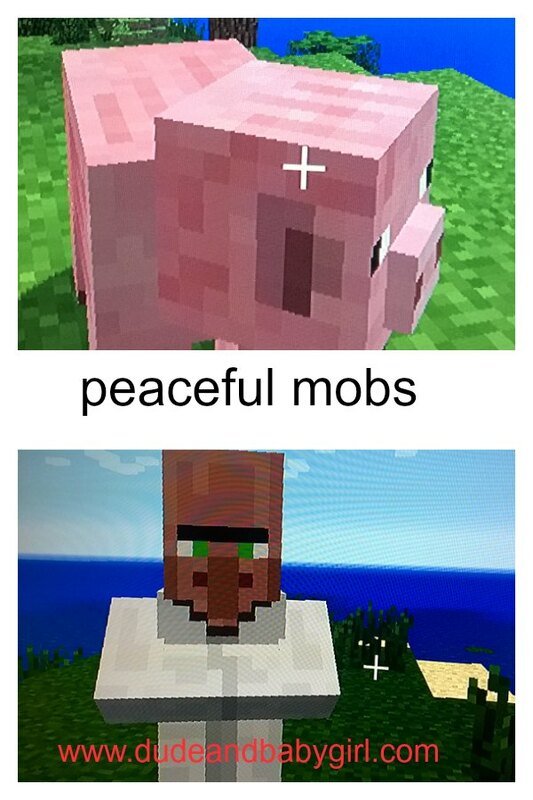 You just went through all of the peaceful mobs in Minecraft. Now you can do whatever you want with them. What one will you go after?